The Colorado Plateau holds the richest uranium deposits in the United States. 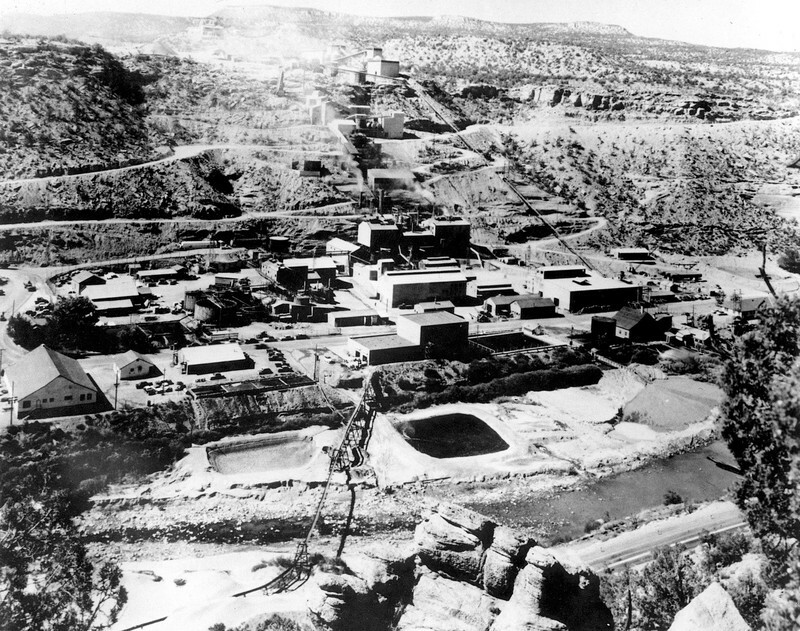 During World War II, the small uranium mining town of Uravan, Colorado helped to provide the Manhattan Project with uranium for the construction of the first atomic bombs. Mining for uranium in Colorado started in the late-nineteenth century with the search for radium. Uravan started as a Standard Chemical Company mining camp named after the company chairman’s son, Joe Junior. From 1914-1923, miners at the Joe Junior Camp mined carnotite. Carnotite was a source of radium, although it required 300 tons to create a gram of radium. This material was an important ingredient in creating luminescent paint used for watches and instruments. In 1923, production of radium slowed in the United States with the discovery of rich deposits of radioactive pitchblende in the Belgian Congo. This material, pitchblende, proved much richer in radium than American carnotite. This allowed the Belgian mining companies to corner the radium market and end the American carnonite boom. Between 1923 and 1936, the United States Vanadium (USV) Company operated the camp. In 1936, USV renamed the site after the two principle elements it intended to mine: uranium and vanadium. The company expanded the camp to house the 250 workers who moved there, many from the USV refinery at Rifle, Colorado. USV built frame houses, a mill, three power plants, along with amenities such as a swimming pool and a community hall that included a pharmacy and theater. Men sometimes worked sixteen hours a day in the mines and mill. The residents had great pride in their town and felt appreciative of the company’s efforts to make life livable. 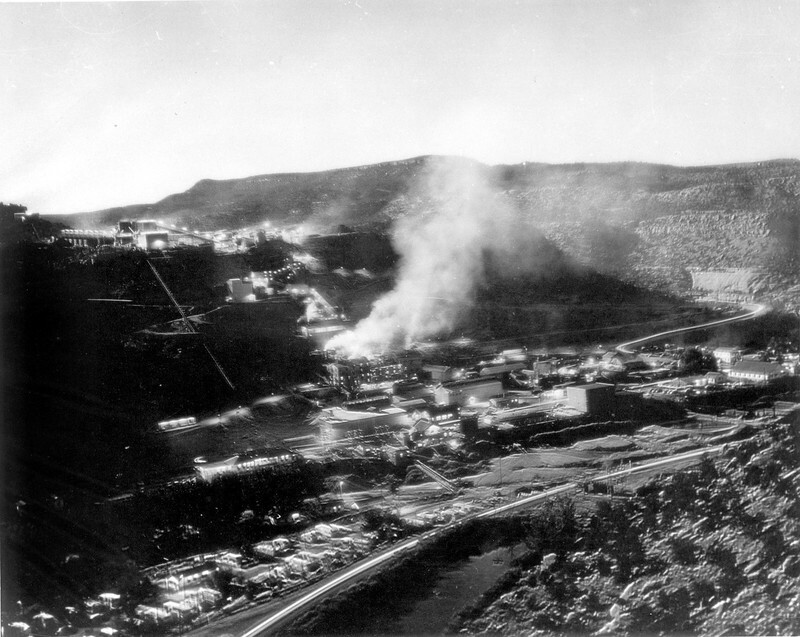 World War II proved a major boom to the mining of uranium and vanadium. With the outbreak of war, the United States Government started to increase purchasing of vanadium and uranium for alloy production as hardening agents in steel. During the 1940s, much of the uranium came either from the Belgian Congo or the Northwest Territories of Canada. While both of these regions proved richer than the Colorado Plateau, both were located outside of American control. The location of a uranium region in the continental United States meant that the area became vital to the war effort. With the work brought by the war, the community expanded, with the population growing to over 400 workers and their families. Under the control of the top-secret Manhattan Engineering District, the project used the uranium from Uravan in the creation of the atomic bomb, making the town a key provider. 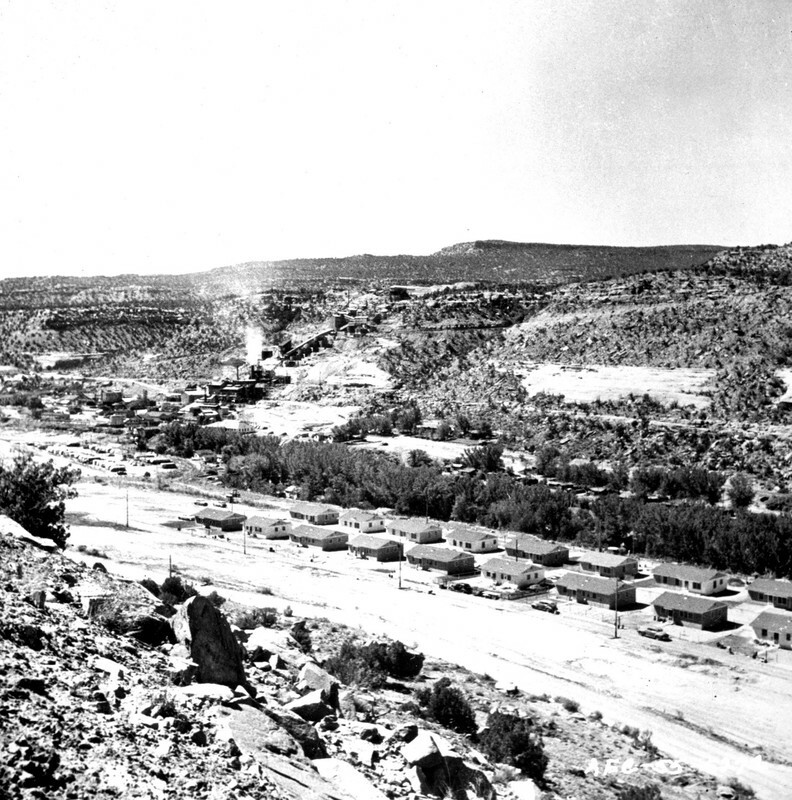 The mill at the town produced three tons of uranium sludge per day to help fuel the creation of the atomic bomb. After the war, Uravan continued as a small mining town. 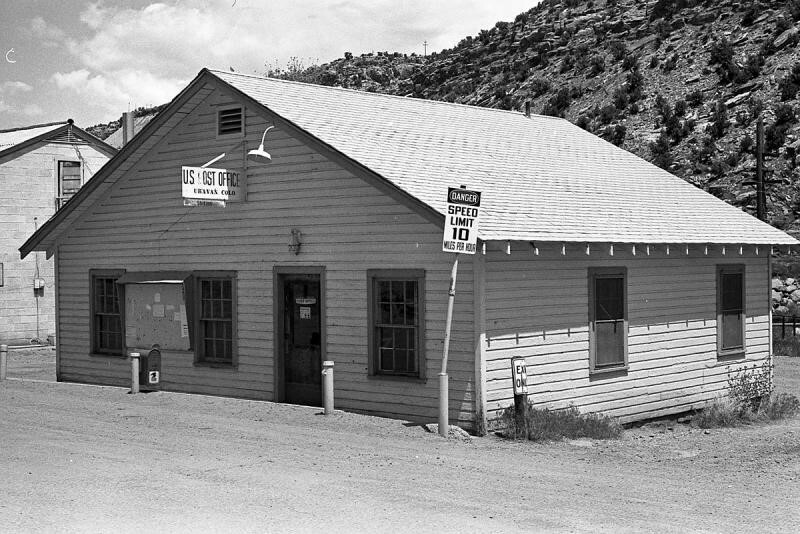 Until the 1970s, the town prospered as demand for uranium remained high for Cold War defense and the growing nuclear power industry. However, changes in public attitudes to nuclear power and acceptable radiation levels affected production. Eventually, the State of Colorado closed the town for safety reasons, residents moved away, and the town died. In 1986, reclamation efforts began to reduce the radioactivity of the region. Today none of the buildings remain standing as reclamation efforts continue. 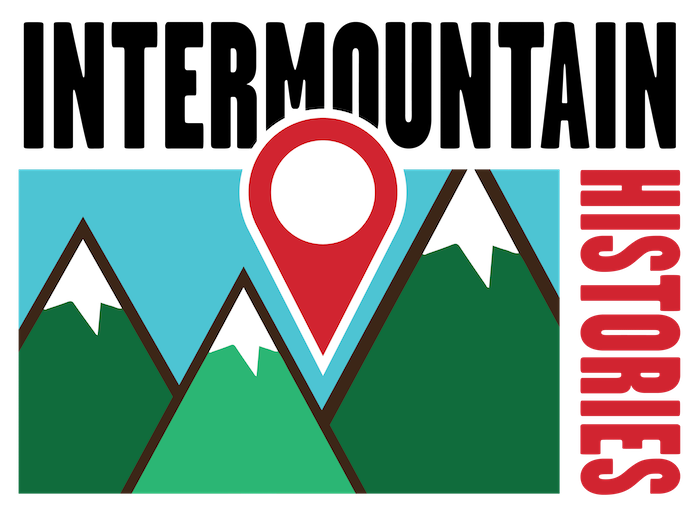 Christian Flanders, Northern Arizona University, “Uranium Mining in Uravan, Colorado,” Intermountain Histories, accessed April 19, 2019, https://www.intermountainhistories.org/items/show/54.